David Soomekh (Beverly Hills) - Book Appointment Online! 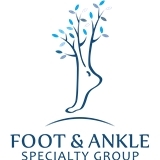 Excellence in Comprehensive Foot and Ankle Medicine and Surgery. Special attention to Sports Medicine and Reconstructive Foot and Ankle Surgery. Efficient, professional, great bedside manner, friendly staff, and he identified and fixed my problem in two minutes. He will definitely be my family's go-to podiatrist.